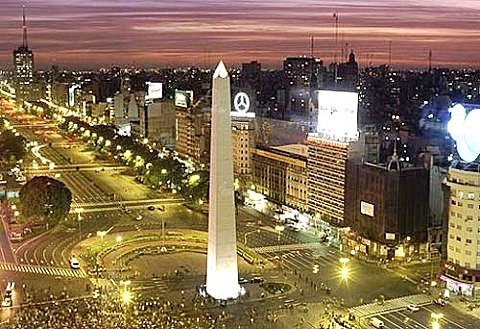 They say to really understand Argentina you must know its capital, Buenos Aires. I arrived yesterday and will be here for the month of May. I’m renting a studio apartment in the Recoleta neighborhood near restaurants, shops, and transportation. The apartment building has a cage elevator and skeleton keys! 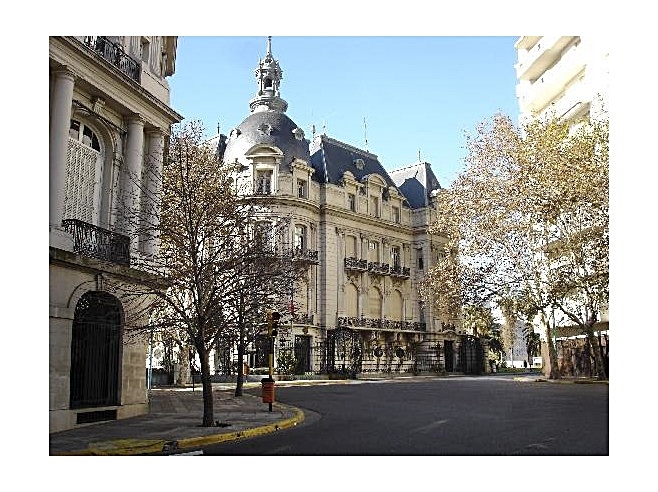 My apartment in Recoleta is a block from Avenida Santa Fe – one of the main streets in the city. 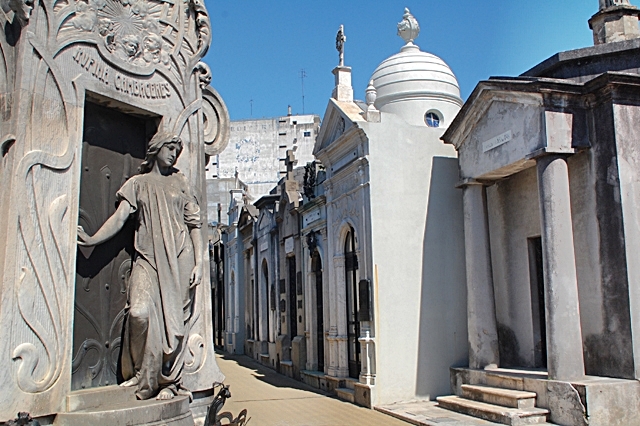 Recoleta is an interesting, diverse neighborhood and certainly a change from the wild nature and isolation of Patagonia. What a treat to be in a city with so many wonderful cultural activities! The name Buenos Aires means “fair winds” in Spanish. The population is about 3 million and the city is described as a “singular, open, and integrating destination that allows visitors to have an exceptional urban adventure” – fantastic! I’ve learned many new things about Buenos Aires in just one day. Spanish is spoken rapidly here and as in Chile and Peru, locals pronounce words differently from elsewhere in South America. 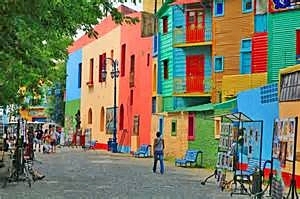 Porteño Spanish is the caste-sha-no (Castellano) dialect including colorful Lunfardo slang. The difference in pronunciation supposedly reflects Italian influence and sounds like the Italian word for the same thing. This isn’t great for my sketchy Spanish but it adds to the adventure! 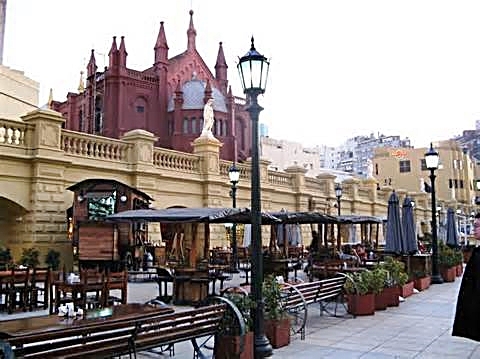 Buenos Aires is known as Latin America’s most European city with a population of descendants of Spanish and Italian immigrants, sometimes called Porteños. Porteños see themselves as distinctly different from other Argentinians and all Latin Americans in general. It’s a complicated subject. Not sure I understand it yet. Don’t even think about having dinner before 8 or 8:30 p.m. in Buenos Aires. Many restaurants won’t even start setting up until after 7. The smaller markets actually put your purchases in bags. There are two different lines – one for groceries and the other for fresh fruit and vegetables, where they weigh and price your food. Seems a slow way to do things but I’ve learned as a traveler not to question that sort of thing in a foreign country unless you want to be grouchy and miserable. Many people associate the Tango with Buenos Aires. There will be plenty of opportunities to see Tango, visit Milongas, and maybe take a Tango lesson? Lessons are given during the day and at night and there are many capable teachers available. The Tango houses usually don’t get started until after midnight and dancing continues until dawn. During this trip I’ve met people from all over the world who were traveling to Buenos Aires specifically for Tango dancing, a real passion in Buenos Aires. The weather in Buenos Aires is pleasantly warm – 60s and 70s during the day and 40s to 50s at night. It rained earlier today but the sun is shining now and the forecast looks clear and sunny for the foreseeable future. It’s time to explore! 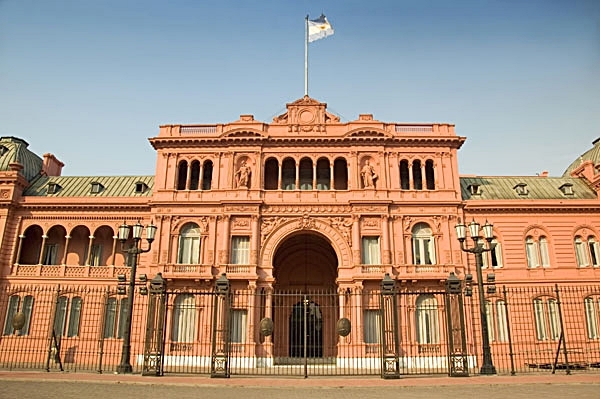 This entry was posted in Argentina, South America and tagged ancient civilizations, Avenida de Mayo, Avenida Santa Fe, Boedo, Casa Rosada, La Boca, La Bombonera, Lufardo, Milongas, Obelisk, parillas, Plaza San Martin, Porteño Spanish, Portenos, Recoleta. Plaza de Mayo, San Telmo, Tango, Theatro Colon, Theatro Liceol by suemtravels. Bookmark the permalink.